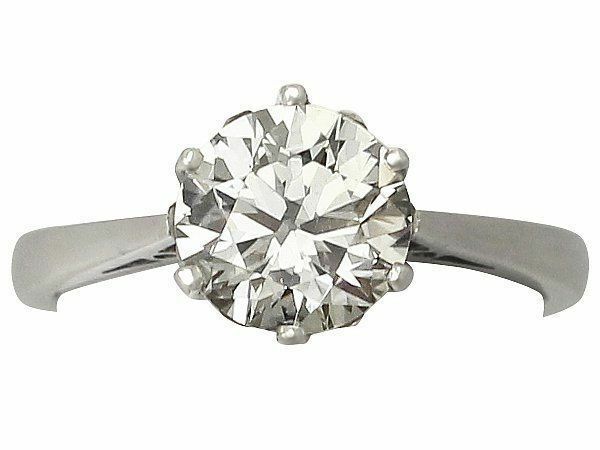 Claw settings are also known as ‘prong’ settings, and thy are the most popular styles of settings for engagement rings. They benefit from being both classic and timeless in style. 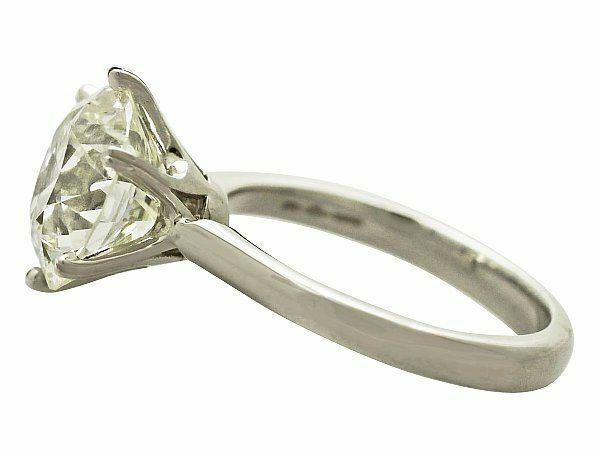 The majority of diamond solitaire engagement rings are set with claws. These claws secure the diamond while fully displaying the height and depth of the diamond in the center of the ring. Most people find that they prefer both the appearance and the security which a claw set, or prong set, ring offers. 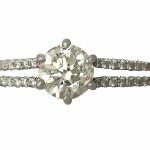 The claw setting allows for the diamond to be seen from all angles, and also lets light enter the diamond from beneath the girdle (the ‘lower half’ of the diamond) – which makes the diamond appear brighter. 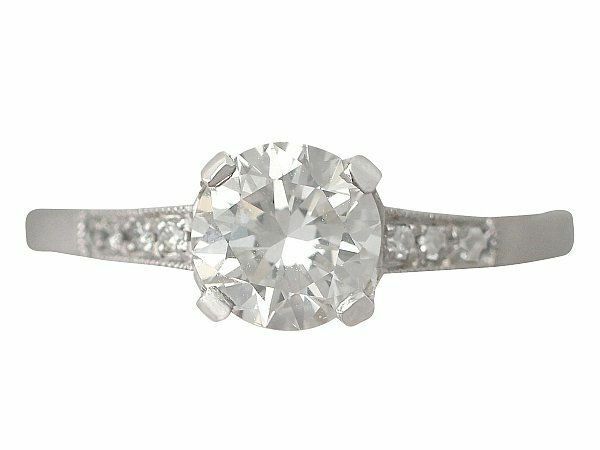 The specific style of the setting on a claw set engagement ring can completely transform the look and feel of a ring- so it is important to decide which claw setting you prefer. Many claw set engagement rings offer an incredibly high profile, creating a dramatic effect. Often, sparse claw settings such as the ‘4 claw’ setting are preferred. 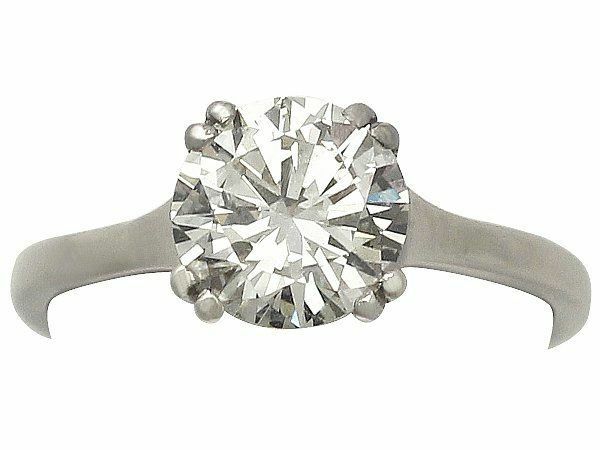 This 4 claw setting often gives the appearance of a minimalist, sophisticated ring, with as much diamond on show as possible around its circumference. 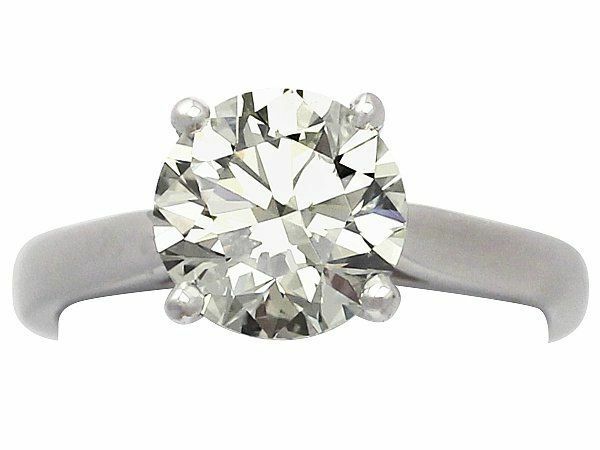 Here at AC Silver, we are pleased to be able to offer our customers a wealth of choice when it comes to solitaire engagement rings. Our range includes 4 claw, 6 claw and 8 claw settings alongside numerous diamond cuts. 4 claw, 6 Claw or 8 Claw Setting? The 4 claw set diamond solitaire ring has become a modern classic. 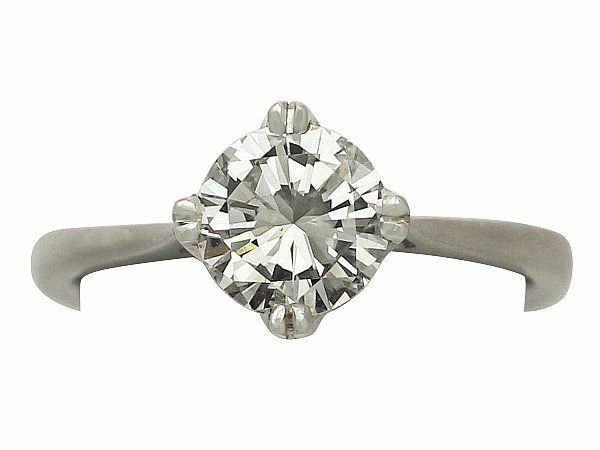 It is easily the most popular style and type 0f engagement ring. 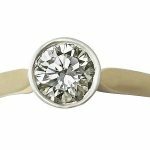 Most contemporary rings – even those which incorporate antique diamond stones with new settings – feature a 4 claw setting. 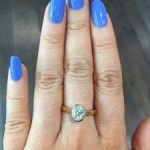 The undeniable security that comes with a 6 claw engagement ring or an 8 claw engagement ring is certainly a huge selling point, particularly when this ring will be one that you wear every day. 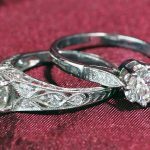 Most cuts and styles of diamond suit any claw setting, but often it is crucial to match the style of the claw setting to the type of diamond- such as an antique diamond matching a 6 or 8 claw set ring. 6 claw engagement rings were supposedly first introduced by Tiffany’s. The benefit of the 6 claw rings is that each of the claws are generally smaller and more delicate than the claws on a 4 claw ring. 8 claw settings are the most common to be found in antique engagement rings. These claws are usually incredibly delicate. The result of this is that although there are a larger number of claws, they tend to be thinner and finer than those of a 4 claw ring. With most engagement rings, there is a compromise between the fineness of the claws or prongs and the number of claws around the circumference of the ring. The choice is completely down to preference and taste, and largely depends on the personal style of the wearer. 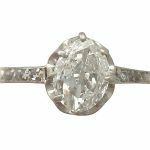 For the most part, those who prefer an antique or vintage style ring often realise that part of the ‘look’ of an older ring is a larger number of claws around the diamond. Whereas those who appreciate modern, minimalist style rings prefer a setting with as few claws as possible. A general rule of thumb is that the larger the carat weight of the diamond within the setting, the larger or more claws you will need to keep the diamond secure. Obviously, with all diamond solitaire rings it is crucially important to have your ring regularly checked; especially the strength and condition of the claws holding the central diamond in place. Here at AC Silver we offer an exemplary after care service which includes regularly checking your diamond along with the setting and the claws which protect and grip the stone. This customer care means that buying a ring with AC Silver comes with a lifetime guarantee of a professionally inspected and cleaned diamond engagement ring! Which Diamond Cut Suits the 4 Claw Setting? 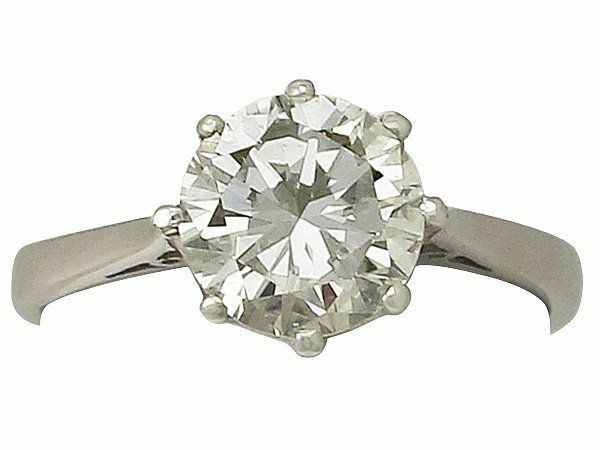 Generally speaking, the diamond cut which suits the 4 claw setting most is the Modern Brilliant Round Cut Diamond. 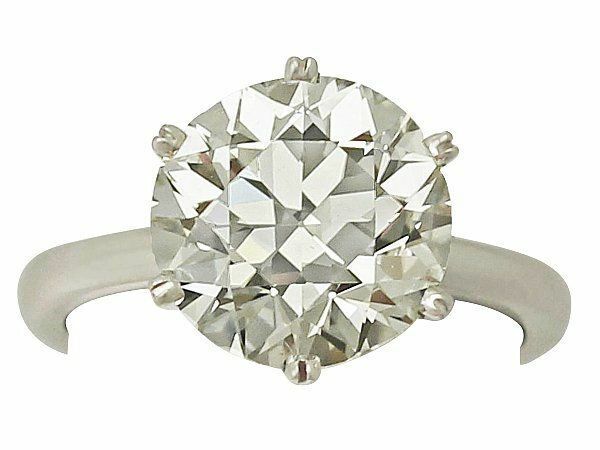 Saying this, Oval Cut, Square Cut and Emerald cut diamonds all also frequently incorporate 4 claws. This is because these are common cuts in contemporary diamond solitaire rings. The 4 claw setting is almost always used when it comes to square or rectangular diamond cuts. In these instances, the ring will always feature claws to the corners of the diamond to protect and secure the stone. Another important factor to consider is the spacing and orientation of the claws around the diamond, which will also have an effect on the overall appearance of the ring. 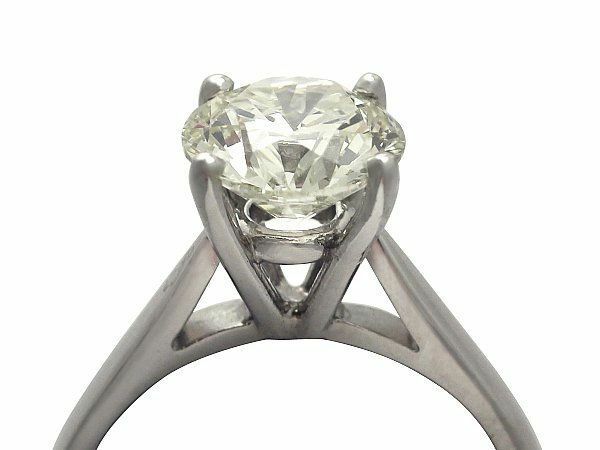 If the prongs or claws surround the diamond in the more traditional ‘2 o’clock, 4 o’clock, 6 o’clock, 8 o’clock’ positions, they may give a round diamond a more square or boxy appearance. 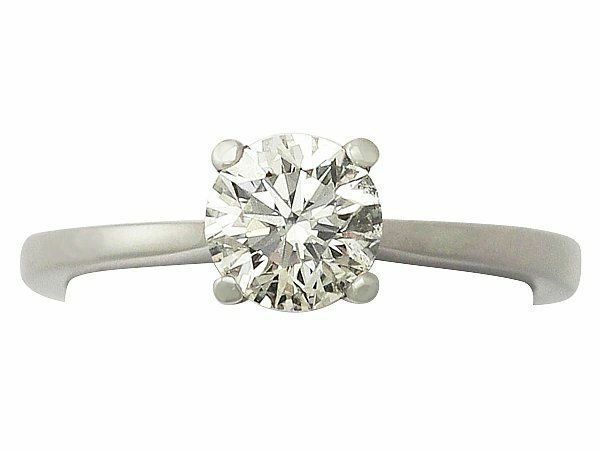 However, if the prongs or claws are placed to the ‘North, East, South and West’ of the diamond (sometimes referred to as the ‘Kite’ setting) then this may give the appearance of a larger diamond, depending on the style and type of setting and metal used. We hope that this guide has helped you to navigate the world of the claw setting, and that we have helped you to find the perfect diamond engagement ring for your loved one!